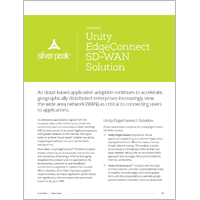 Liberate your applications with Unity EdgeConnect, the unified SD-WAN edge platform, and realize the true transformational promise of the cloud. 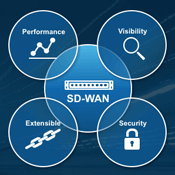 A Software-defined Wide Area Network (SD-WAN) is a virtual WAN architecture that provides enterprises with the flexibility to leverage any combination of transport services, including broadband internet, to securely connect users to applications. 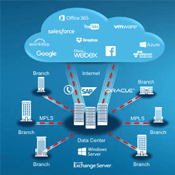 Today, applications are hosted in on-premise data centers, and increasingly in private or public clouds. Or they may be consumed as a subscription-based Software-as-a-service (SaaS) offering. 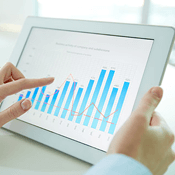 Typical SaaS examples include Salesforce.com, Workday, Office365, Box and Dropbox. An SD-WAN virtualizes WAN services including Multiprotocol Label Switching (MPLS), broadband and 4G/LTE, treating them as a resource pool. Pre-defined policies, programmed by IT, specify per application group how traffic should be handled to meet priority, Quality of Service and security requirements according to business intent. An SD-WAN continuously monitors applications and network resources to intelligently and automatically steer traffic in accordance with these requirements in contrast to conventional routing based on TCP/IP addresses. 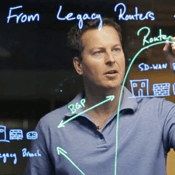 Adding SD-WAN to an existing WAN infrastructure couldn’t be simpler. 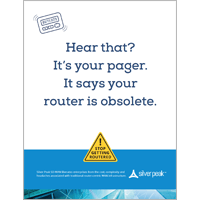 With Silver Peak, it can be a seamless transition. During the migration, all existing WAN equipment, services and connections continue to operate as before. While it’s possible for EdgeConnect to replace existing WAN infrastructure, creating a virtual WAN overlay doesn’t require a forklift upgrade of existing routers or infrastructure at branch locations. Businesses must conform to the constraints of the network. 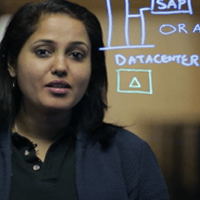 Businesses liberate applications to realize the full transformational promise of the cloud. Businesses settle for less than what they really need. 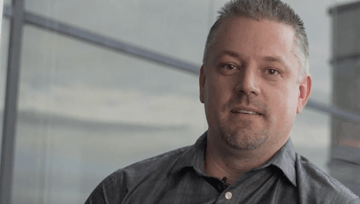 Silver Peak delivers a software platform that powers a self-driving wide area network, so IT leaders can tell the network what the business wants, then use automation and machine learning to just make it work. 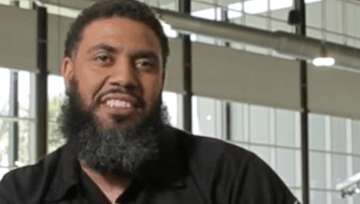 Las Vegas Harley-Davidson deployed EdgeConnect to connect its employees to the business applications that fuel business growth and customer satisfaction. 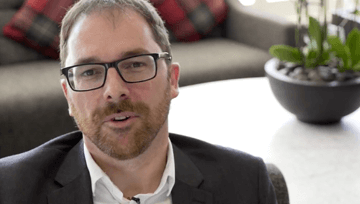 Nuffield Health deployed EdgeConnect across more than 200 sites and now provides the bandwidth required to deliver an exceptional quality of experience at a lower overall cost. J-U-B accelerated access to large engineering and GIS files from up to 30 minutes down to seconds, while reducing WAN costs by nearly $100,000 per year. We’ve realized a 15 percent gain in network and application performance and we’re on track to save more than $1.4M in connectivity costs. We are now saving approximately $30,000 (over three years) and getting an increase in speed. The performance increase is dramatic.